Common Vetch has purple pea-like flowers (approx. 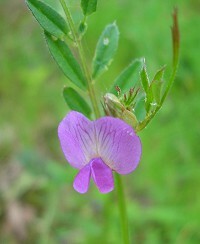 10 - 20 mm) which appear singly or in pairs along the stem. The leaves are made up of pairs of narrow leaflets which grow along the stem. 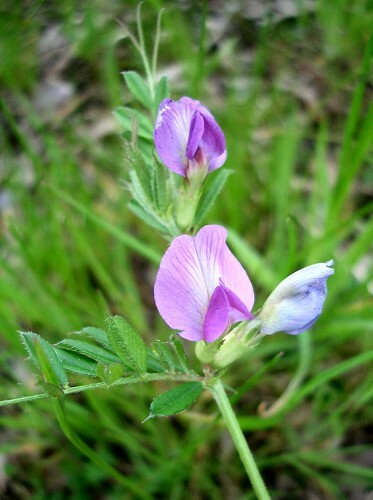 This plant is slightly hairy unlike the similar Bush Vetch.